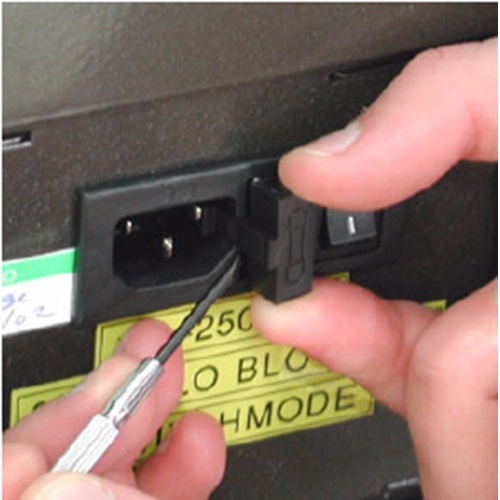 If the gauge fuse has blown it can easily be replaced via the power supply module. The power supply module supplies all low voltage power to the gauge and is located on the rear panel. 1. 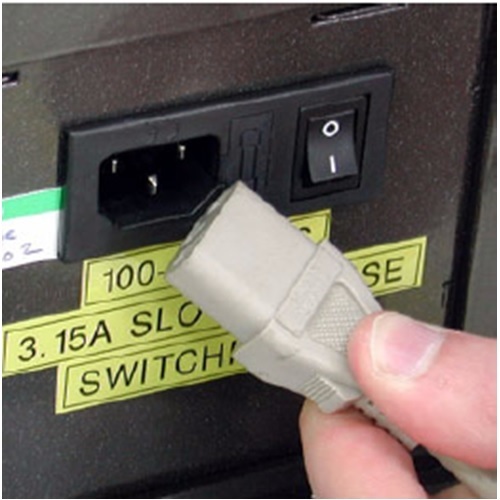 Disconnect the mains power cable. 2. 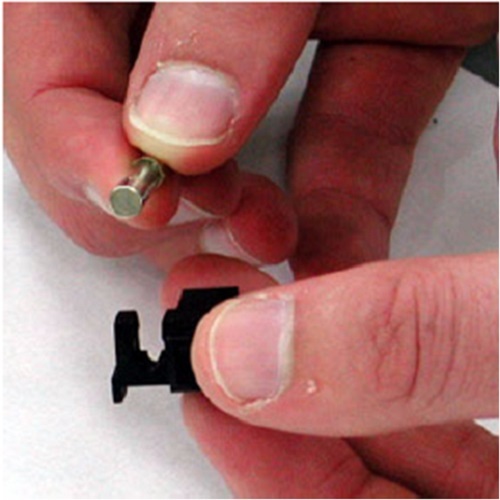 Remove the fuse cage with a flat blade screw driver. 3. Replace the worn fuse with a new one.